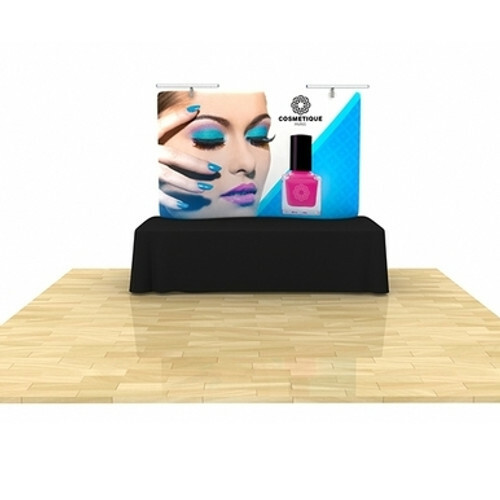 Sleek and “EZ”, the EZ Tube fabric system is a low cost alternative to standard backwall displays. Quickly assembled in just 5 minutes, slide the tubes together to make the frame and lock in place with a push button snap. Then, simply pull the pillowcase-like graphic over the frame and zip it shut. The zipper, hidden from view, tightens the stretch fabric beautifully displaying your image. Disassembled, this lightweight frame and graphic fits inside its included bag. 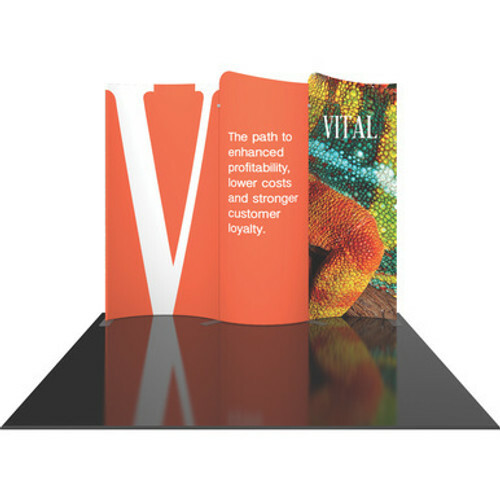 Manufactured in the USA, the Formulate Fabric Display line offers unmatched versatility and variety. 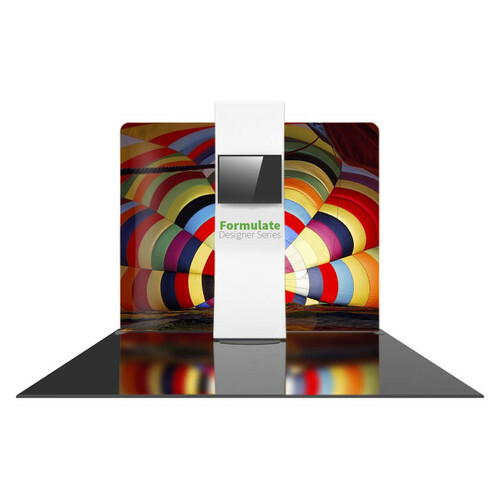 With tons of options and add-on like stand-off shelves, monitor mounts, kiosks and signs, the Formulate line is truly a "king of the hill". With hundreds of off the shelf layouts, there's something for just about everyone but if you're looking for something completely unique, the Formulate line is the place to start. Contact your GLM Displays representative for more information today. Hanging Skybox Banner frames are ideal for attracting attention and for use as a focal point at an event and in an interior space by projecting messaging from all angles and drawing the eye upwards to a brand or message! If managing a trade show schedule where there are multiple size spaces to plan for, Modulate™ is the perfect exhibit system. Modulate pre-defined inline kits can reconfigure easily into smaller exhibit sizes with no extra parts or packaging. Maximize your value in a versatile, reconfigurable system! 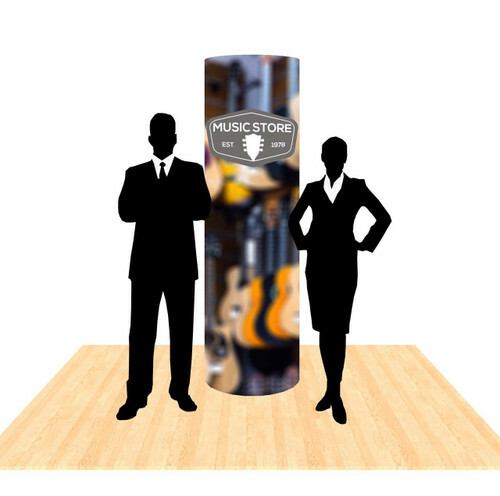 Easily captivate audiences at trade shows, events and in permanent environments. With many shapes and size to choose from, you can easily be the center of attention at your next event.